Many processes are involved in the recycling of practically every used product or unused items such as metals. 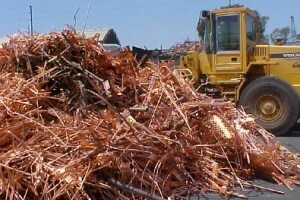 At Scrap Metal Sydney, we know that there are two main goals are at the very core of the recycling process. First, a continuous supply of different types of metals is made available for use by this generation and future generations. Second, we view recycling as an indispensable process by which the environment is kept free of unhealthy and hazardous wastes that can pose a threat to the wellbeing of residents living in the city of Sydney and surrounding suburbs. The recycling of aluminium consists basically of used and discarded aluminium cans and wrapping foil along with many other types of aluminium found in more bulky items such as outboard motors, cars and other machinery. We attend to the difficult task of collecting the dumped aluminium scrap materials from outside your homes and make sure that the recycling bin is completely empty for the next batch of aluminium scrap. The collection will leave your home in a healthy and clean state. You need not worry about transporting your scrap material to our treatment plant in the city. As a family owned business, Scrap Metal Sydney has been providing the vehicles needed for collecting aluminium cans, foil and other aluminium scrap materials for transporting your aluminium scraps to our treatment plant. We have all types of machinery and equipment required at the plant for turning the scrap aluminium into usable products. Once the scrap materials are taken away from your home, to the plant, you don’t have to worry about them again until you reuse them again. Sorting and cleaning – the first thing that we apply to the scrap metal that arrive at the plant is sorting and cleaning to put them in different sizes and clean them from dirt and debris. Re-melting process – in this second stage we re-melt the scrap material and turn it into molten aluminium while the coating and inks are removed ready for the next stage. The rolling out stage – here, the ingots are rolled out into flexible and strong aluminium sheets ready for the next phase. If you have a surplus of aluminium scrap, ring us on 02 9707 2955 for a quote and we will assist you in solving your problem.